Benimaclet is the university district par excellence in Valencia. It combines the relaxing atmosphere between a city and the town that in its historic core it still is. 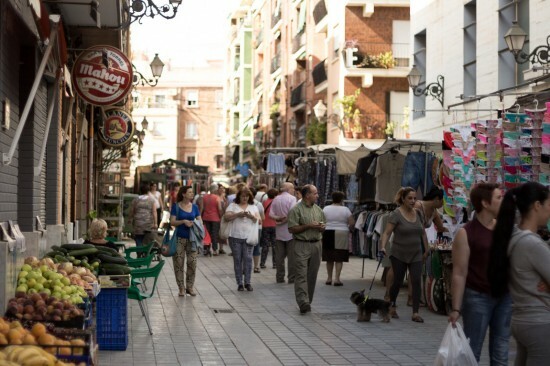 We propose you a raid among its calm streets where the popular and the cultural is joined. Many cultural festivals organized by citizen or private initiative are proliferating in Valencia. One of the most active districts in this sense is Benimaclet, number 14, in the limit of Valencia with the orchard of Alboraia and skirting all the universities. Until 1878 it was an independent town that later it as joined to the capital, first as a pedania and later integrated as a district. Eventhough, it keeps the enchant and the slow rhythm of a town with its small shops and its short houses. The origin of Benimaclet dates back to an Andalusí farmhouse ( time in which Al-Ándalus reigned in the Iberian Península between 711 and 1492) that Jaume I received after conquering Valencia. 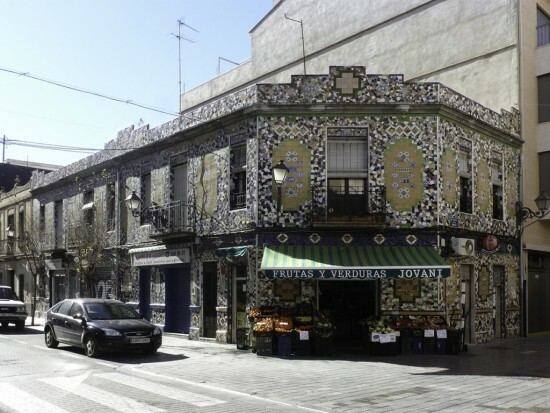 The oldest core of the street is composed of diferent streets like Murta, Masquefa and Benicolet and further the Church of La Asunción, the sensation is like if you were out of a big city. This district is well known by its local festivities during september and also it is know because the neighborhood is very active participating. The Cofradía del Cristo de la Providencia, who organizes the festivities was founded in the 16th Century which stated the importance of these celebrations. The colourful atmosphere appears also in Benimaclet in Carnival in February. It is the only district which maintains this festivity. Other reason why Benimaclet is a magnet for young people is its rich cultural movement with emblematic locals like Kaf Café, Chico Ostra or En Babia which join the coffee or drinks with books, concerts and poetry reading. It is worth keeping update of its monthly diaries. The Teatro Círculo which used to have its headquarters in El Carmen and had to close its doors due to the economic crisis, it just opened in Benimaclet District. To eat something, enjoying at the same time some interesting activities there are three obligatory stops among many others: La taberna Al- Paladar, La Ola Fresca and Pata Negra. Furthermore, the district offers several festivals like Benimaclet Entra where many shops participate or Benimaclet Confusion celebrated recently ( 17-18 Oct. )and whose proposal is to offer in the street the Art and Culture, without any complex; events, expositions, concerts… in private houses, in small streets… people hope to make this festival bigger. Benimaclet district is so close to the school Hispania, escuela de español. As the rest of schools of the Spanish Federation of Schools of Spanish as a Foreign Language in the Region of Valencia loves offering students cultural activities outside the classes. 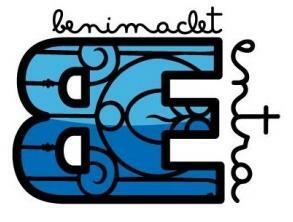 Let’s go next Friday to Benimaclet after our lessons! Valencia is all decked out for Christmas!